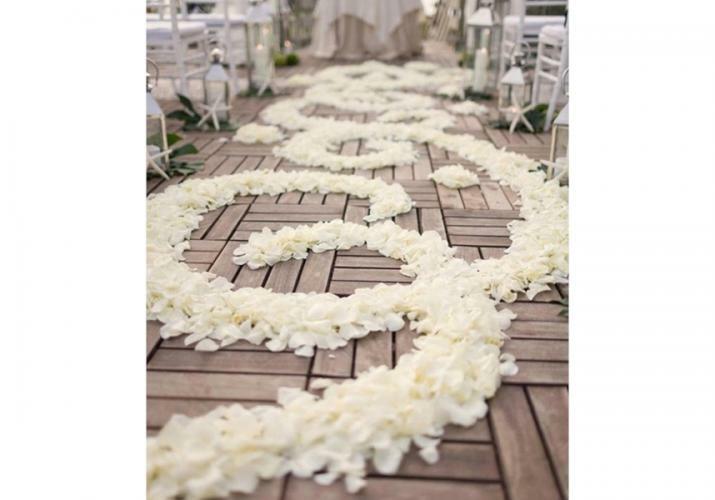 We’ve looked at rose petals in freeform placement, but the biggest trend in aisle runner style is floral petal designs. 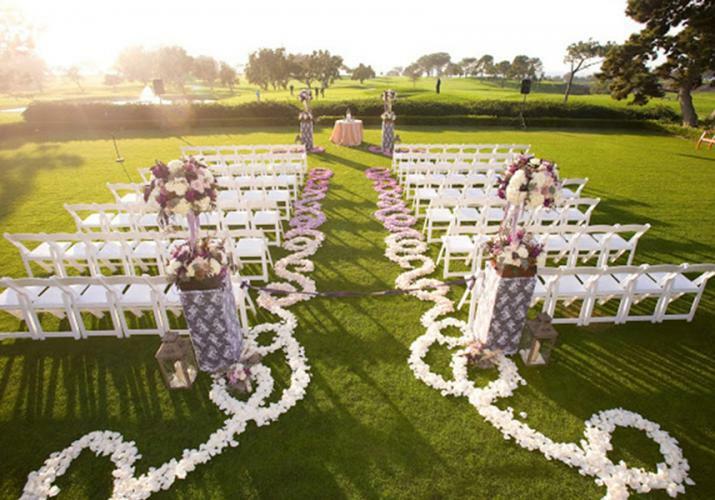 This look is elegant and completely breathtaking, with petals ‘painted’ on your aisle in fantastical patterns, whimsical swirls and even go as far as filling the entire aisle in color. This look is not for the faint of heart. While aisle petal designs are perfect for outdoor weddings, remember this is Kentucky and as the saying goes “if you don’t like the weather, wait an hour.” You may not be able to depend on our Mother Nature, and your design could easily be “gone with the wind’” If you don’t mind the risk, and don’t mind random petals being out of place, then go for it. 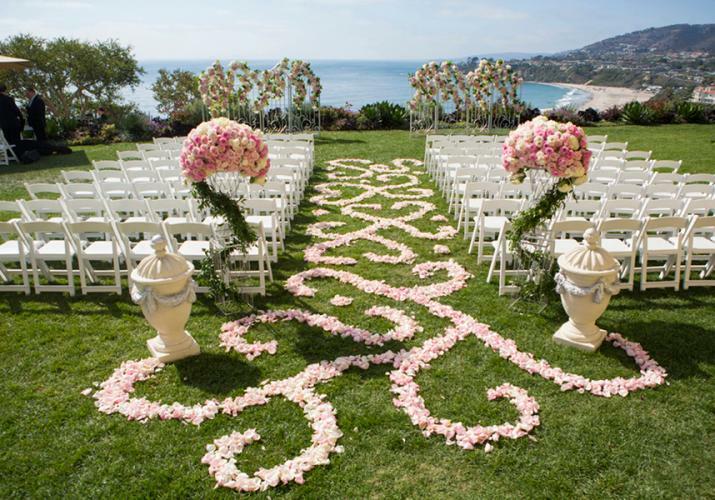 Swirling aisle designs in rose petals are reminiscent of formal gardens in Versailles (that’s the French pronunciation, not the town next door.) If you love the ombré look, you can incorporate ombré petals from one end of your aisle design to the other to pull in your complete color scheme. 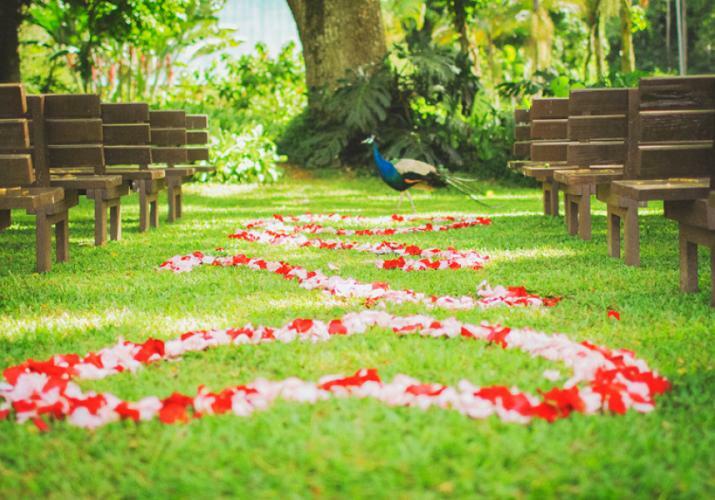 As you walk down the aisle, your train may upset the pattern, but it leaves your mark behind. 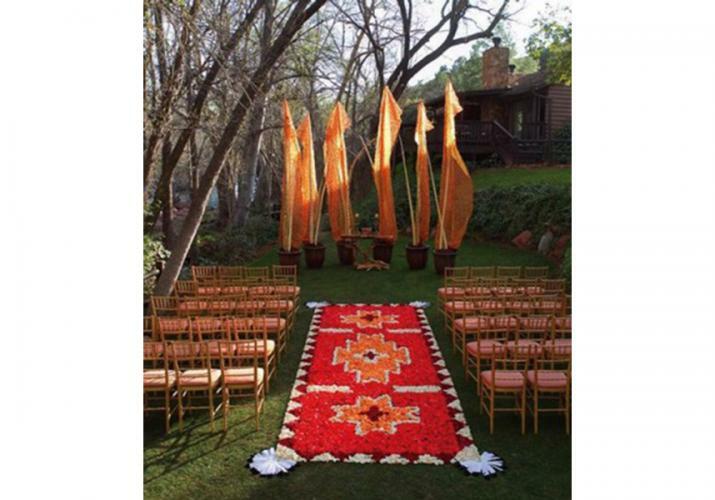 You can choose to incorporate fantastic designs for only the sides of your aisle, leaving you room to walk between them without disturbing their artistry. 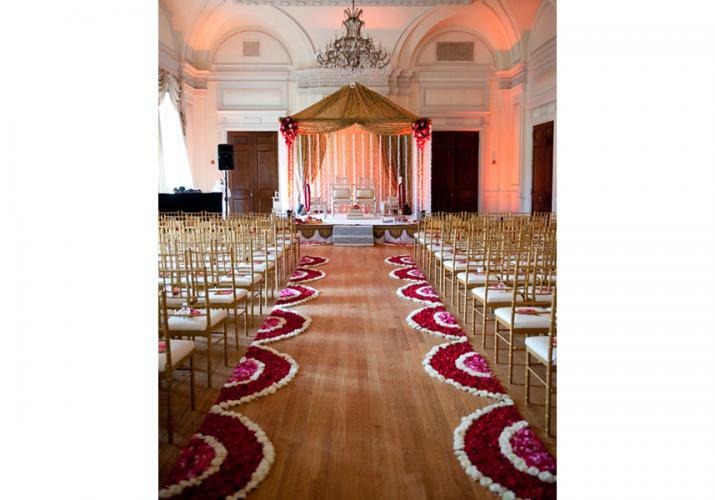 Some of the most glorious designs are called rose petal carpets, and they fill every inch of the aisle in rose petals that create a complete design. These designs can be abstract or sweeping, and they can even mimic the look of a beautiful Persian carpet, or a carpet that includes your new initials. Absolutely fabulous and unforgettable. This look requires a designer that has an artistic sensitivity and a great eye for scale and balance. A first time DIY attempt at this would be too much of a risk on your wedding day, and you may not be able to correct it. 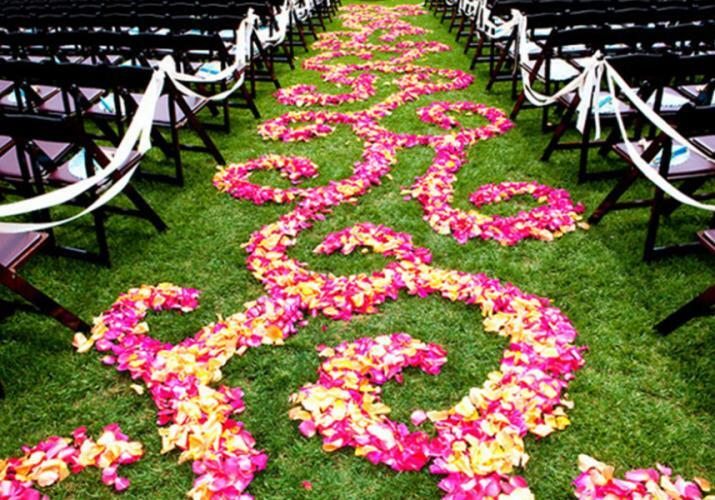 The general pricing for a swirl design including the flower petals starts at about $1500 – no cheap date. An intricately designed carpet is significantly more because of the quantity of petals required and extensive design time. Like buying a yacht, if you have to ask how much it is you probably can’t afford it.